Linking the past to the present and the future. Family traditions are the foundation for some of my favorite memories. I love traditions–especially holiday traditions. Traditions link the past to the present and the future. Family customs that are shared, yet very personal, have the power to bond one generation to another and a new family together; they create a sense of belonging. I wrap myself in warmth when I reflect on the traditions of my childhood. It is the same warmth I feel when I look upon the smiles of anticipation on my children’s faces as they eagerly remind me of this or that tradition, especially at this time of year. When I was growing up, my parents would cart all 9 of us out to shop for a new Christmas ornament every year. It was always followed by a special lunch out. As a child, I looked forward to that day almost as much as my birthday. As a parent, I have a great appreciation for the courage, patience and logistical planning that went into that day. It was a tradition my parents had begun with their first-born. Eventually, we each had our own box of ornaments. We were responsible for packing, unpacking, and most importantly, hanging our own ornaments every year. Over the years, there was the predictable jockeying that went on for the “best ornament locations” on the tree. That competition became just as much a part of the tradition as did selecting a new ornament. Somehow, the oldest always seemed to get his in the most prominent locations, closest to the top of the tree. He was a falconer and he collected “bird ornaments.” Every year, he claimed “the tails needed room to hang down.” And every year, my (self-proclaimed) “funniest” sister would threaten to cut the tails off his blasted birds. In true sibling fashion, she would squish her ornaments up around his, chaffing him just enough to irritate, but not enough to get in trouble. Any one of us could look at the tree and name whose ornaments were whose. It was bitter-sweet to watch the once full tree slowly empty as my older siblings moved out and took their boxes with them. Like my brothers and sisters, my box went with me when I left. It was strange decorating my first Christmas tree. I topped it with an angel I had found at Sears. I missed the star that had always topped the family tree. It seemed so bare, so small. It looked nothing like the trees I grew up with, but in that box was a lifetime of Christmases past. Each ornament held a snap shot of a year in my life. My first, a small doll in a red felt dress, was selected by my mother. Every year, I hold her in my hands just a little longer than all the rest before I place her on the tree. I cherish that connection to the past. I cherish that she is a part of my present. I never tire of the stories that are told and re-told each year as I decorate the tree with my husband and children. We share memories. We fill in gaps. We are bonded by tradition. The past and present are woven together by a tree that holds both. Ornament shopping is one of the many traditions my family looks forward to each year. Our holiday excitement begins its ascent each Halloween–probably because it triggers the start of my husband’s laborious excavations through boxes of seasonal decorations in the attic. I have always thought of November 1 as the “official kick-off” to the holidays. I love November; the crunch of fallen leaves, the need for cozy sweaters, the weather-induced excuses to slow the pace, stay indoors and snuggle up together. When my girls were small, I initiated a new tradition in our family–the “Thanksgiving Chain.” Every November 1, colorful construction paper littered the table and construction began on our paper chain. Everyday leading up to Thanksgiving, each of us would take a strip of paper, write one thing they were grateful for and add a link to the chain. It taught our kids about gratitude, and reminded me of all we had to be grateful for before the hustle and bustle of Christmas overwhelmed the household. Some years, in lieu of a chain, I would tape a large cornucopia made from construction paper to the wall that was slowly filled with paper fruits and vegetables with words like “family”, “my pets”, “friends” and even “chocolate” scribbled upon them. Frequently, each girl would add more than 1, 2, or even 3 items to the chain or cornucopia. 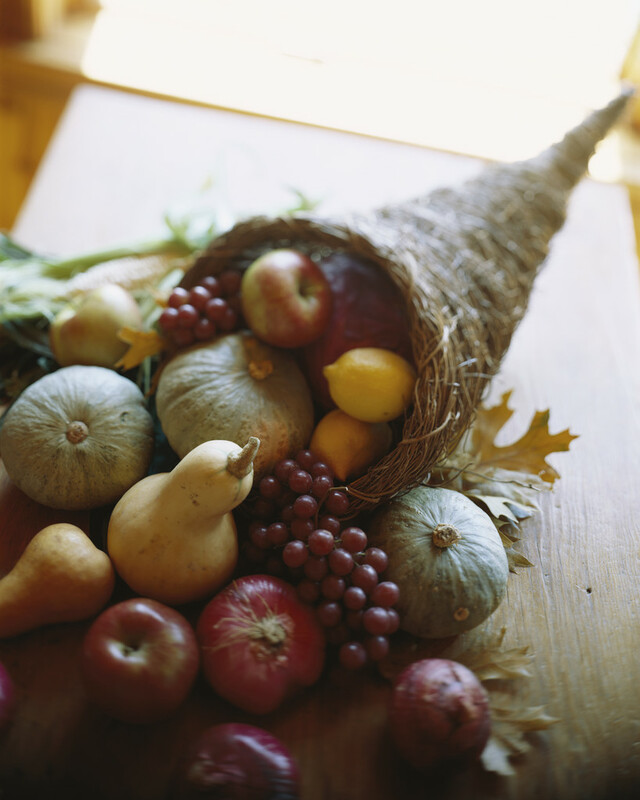 By Thanksgiving, we were visually reminded of the abundance in our lives. I don’t remember how old my girls were the last time I hung that weathered cornucopia or built a “Thanksgiving Chain.” Sadly, as children age, traditions are slowly packed away in a box of memories. Busy schedules and maturing minds edge out “child-like” traditions. As my children have grown, clandestine shopping trips to conceal Santa’s identity gave way to admonishments to stay out of mom’s closet. Homemade baked goods were replaced by “boxed chocolates” for friends and neighbors. And, the years of handmade crafts remain boxed in favor of mature, minimalist decorations. Times change as children get older. Sometimes. Over the last several days, I have thought about the upcoming holidays. It has not escaped me that my husband and I are fast approaching a season of change. It won’t be long before our daughters take their boxes of ornaments and decorate their own trees. Will one want the “Rock n’ Roll Santa”, a gift from my mom, that plays every year? Will the other ask for the star that graces the top of the tree–the same star that topped the tree as I grew up and was passed on to me by my mother? Will they hold their first ornament in their hands just a little longer than the rest before they place it on the tree? Hopefully, they will cherish their connection to the past. This was the first year both girls didn’t dress up for Halloween. I was sad. A chapter had closed, and for just a bit last night, I mourned the Halloween’s past. In bed, my mind wandered to the approaching holiday season. Time has passed too quickly. Would this be our last year to ____________? I felt gratitude for our traditions and the memories they have helped create. And then, I remembered our November tradition, our “Thanksgiving Chain,” tucked away long ago when the girls grew “too old.” Last night, I lay awake calling forth pictures of the little hands that had “trick-or-treated” together so many years. The same hands once helped create a paper chain and picked out Christmas ornaments. I thought of all I had to be grateful for over the years, and I decided, this year we would build a “Thanksgiving Chain” once again. As soon as I mentioned the chain to the girls, they knew immediately what I was talking about. Enthusiastically, they jumped in. Construction paper littered the table, strips were cut, and sentiments of gratitude were scribbled across the strips. They remembered; the past came forward into the present and memories filled the room. And, I felt grateful for this time, this opportunity to share a tradition and create a memory with my children once again. You are amazing as always. I also enjoyed my trip down memory lane. I have special golden bells that hang on our tree every year that had come from my family tree as I grew up. They remind me of Christmases past and all the special people that are a part of my life. Happy November and stay cozy on this snowy day! Awww–thanks, Marsha! And, thanks for sharing part of your “trip down memory lane.” How special to have something from the family tree to hang! I hope you stayed cozy today, too! Is it truly Christmas without at least one handmade, spray-painted, macaroni doo-da prominently displayed somewhere?! Thank you for your memories, which have evoked my own! Thanks, Laura. Enjoy your trip down memory lane!